We believe in the Power of Simplicity, to deliver effective brand identities that balance classic & contemporary aesthetics. "efficient communication and great design work!" 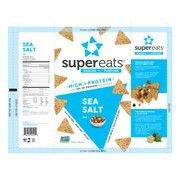 "John did a fantastic job in creating a beautiful, unique packaging set for our chip and puff snack line. He is very responsive, diligent and talented. We are excited to work with John again on future projects. Highly recommend him!" "John worked incredibly hard and produced amazing work. Great communication and excellent designs. John was happy to make various changes to the work and produced excellent quality designs showcasing his creative skills. I will be working with John..."